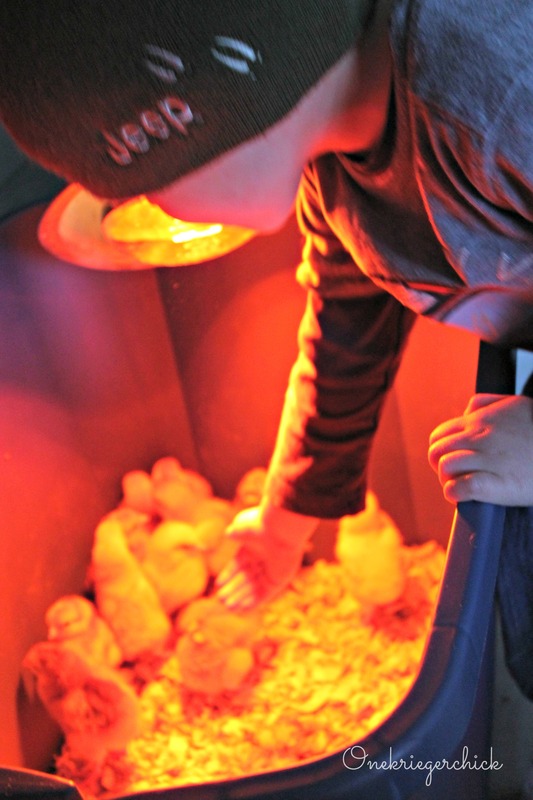 Yep…Blake and the boys brought home 12 baby chicks Saturday. They are happy at home under a heat lamp in our mudroom. 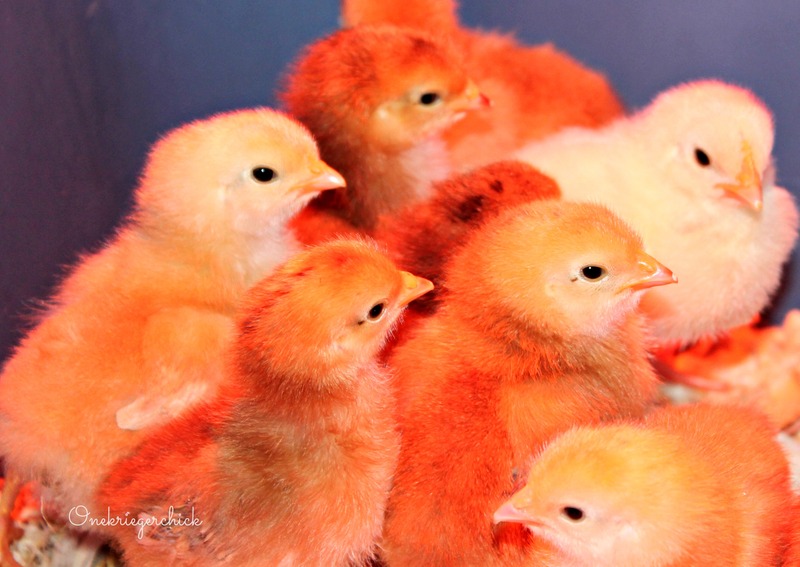 In a few weeks, we’ll transistion them to a Chicken coop in the backyard. For now, the boys are enjoying taking care of them. 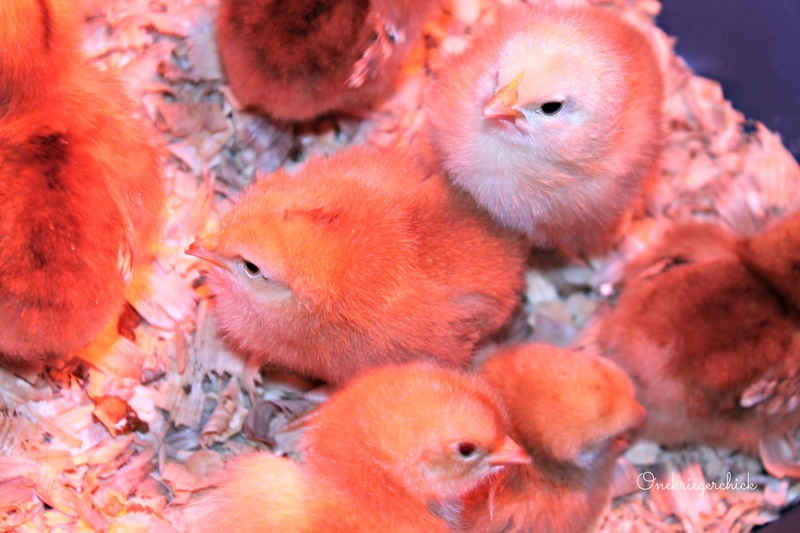 The chicks are checked on frequently…Just have to remind the boys to be careful when picking them up. 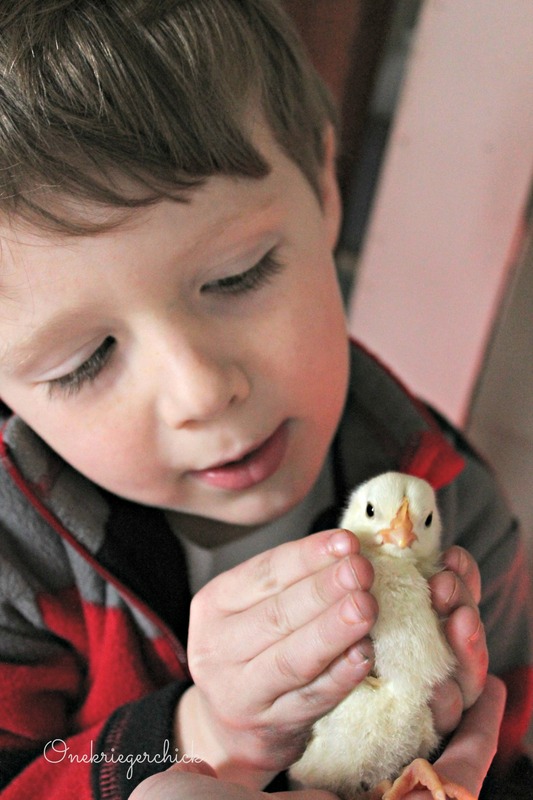 Posted in Uncategorized and tagged baby chicks, Spring. Bookmark the permalink.